It's Friday night and time to put the stresses and tensions of the week behind you and enjoy an evening of relaxing meditation. Let yourself unwind and begin your weekend with a light, fresh, mind. Each class is self-contained so you can come to any class. It is not necessary to have attended the earlier classes, as these teachings are very accessible and open to everyone. Drop into a class anytime. ** Pay in cash or transfer via PayNow when you arrive. Buddhist meditation is extensive and by coming along to these classes you will learn basic breathing meditation and gain insight into the topics taught by Buddha. 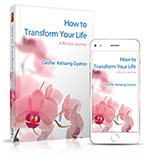 All the topics are presented in a practical way so that you can understand how to use the knowledge gained in meditation to help improve your state of mind and quality of life. Ong Liwei is a sincere and enthusiastic practitioner and has a keen interest in making these teachings as accessible as possible. She has an earnest approach in teaching meditation and her classes are pragmatic and easy to understand.